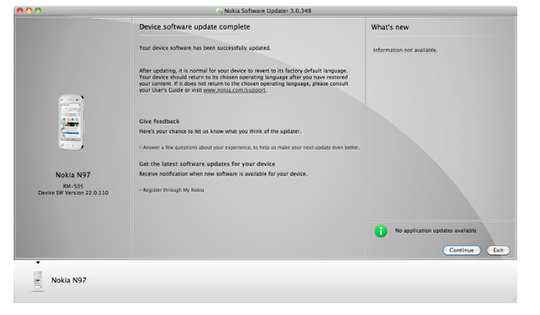 Nokia have released Nokia Software Updater for Mac to share with the Nokia Beta Labs community. It’s a simple application for getting the latest device software updates. This release candidate is still in the development phase, and the plan is to keep the trial ongoing until further notice. Nokia will release updates based on the feedback they receive (critical improvements will be prioritized), but they would also like to gather improvement ideas for future releases. So anything you would like them to implement, let us know and we will pass it on to Nokia. To find out more about this update, go to Nokia Betalabs, here.